It is fun when you have dogs or cats at home until the time comes that you have to get rid of the hair that clings to the couch, hardwood floors, or other spaces. Cleaning can give you a headache, especially if you are the type of person who lacks patience. To make things easier, you need to use a best cordless vacuum for pets that is designed specifically for dealing with pet hair. How big is your home or space you are going to vacuum up and how many pets you have or intend to have? What kind of floor is supposed to be cleaned, will you clean a car inside? How long is the hair of your pets, what kind of hair they have? How many hard-to-reach places you have in the home? What kind of cleaner you prefer (upright, stick or handheld, cordless)? When you have cleared up all those questions and are ready to buy a pet hair vacuum, pay attention to its suction power, a number of attachments and a capacity of a dirt bin. If your choice cordless vacuum, check its run time and the recharging time of a battery and especially it fits your budget. Weight: You need to find one that is as lightweight as possible. This will make it easy to hold and move around. If the vacuum cleaner is too heavy, you will most probably have a hard time maneuvering it and you won’t easily feel tired. Filtration: The vacuum cleaner also needs to have effective filtration, which will make it easy to get rid of pet dander. This is especially important if you often suffer from allergic reactions. Battery: Cordless vacuum cleaners run on battery. With this, choose a battery that charges quickly. Once it is fully charged, the battery should run for an extended period. It is frustrating if it needs to be recharged frequently. Dustbin: It will be good if the vacuum cleaner comes with a dustbin with a transparent cover, making it easy to see if it is already full. If the bin is too small, you need to empty it frequently. Versatility: For the best value for money, you need to choose a product that is going to be multipurpose. It should have several attachments that will allow you to clean even under the furniture and stairs. A telescopic wand will also be good to make the vacuum cleaner versatile. Comfort: The vacuum cleaner needs to have an ergonomic design as well. This is especially true for the handle. It should have a contoured shape that will be easy to hold. Being lightweight also helps to make it comfortable. Performance: This is indicative of the power of the cordless vacuum cleaner. The best way to determine its performance is to read reviews from actual users of the product. It must be able to tackle even tough dirt and the tiniest pet hair without the need to exert too much effort on your end. Warranty: The standard warranty that is offered by most manufacturers is one year. The higher-end models, on the other hand, will have a warranty for two or more years. When the product gets defective, the manufacturer will have it repaired for free if it is still under warranty. Use covers in the furniture and other places where your pet often stays. Remove the cover when you are not with your pet. Do not forget your grooming responsibilities. Find the time to give your pet a quick brush every night before you go to bed. As much as possible, do it outside so that the hair will not reach your furniture or carpet. You can also consider putting area rugs in the carpet, as well as in the doorway. Be wary of the foods that you give to your pets. Their diet will have a huge impact on the extent of shedding that they will experience. Consult with a veterinarian to know more about the best foods that you can give to your pets. Pay attention as well to the grooming tools and products that you will use. Similar to the case of humans, the wrong bath products can cause pet hair to shed. The table below provides a quick summary of some of the models cordless vacuum for pets that you have to take into consideration. After the table, I will give you a quick look at the notable features that provide them with an edge over others in the competitive landscape. Made by a brand that is trusted globally, you can never go wrong with this product. It is designed specifically for hardwood floors. It is tough on dirt, but it is gentle on the floor, making sure that it won’t cause damages on the surface. Looking at its features, one of the most notable is the Digital V6 motor, which is the one that is responsible for its exceptional cleaning performance. It also comes with 2-tier 15-cyclone airflow system. It uses centrifugal force to make sure that even the tiniest traces of dirt won’t escape. There are two power modes, which will offer excellent versatility. Under the MAX Mode, it can deliver high cleaning power for up to six minutes. Under the Powerful mode, on the other hand, it will clean longer under average power. To add, the versatility of this unit can also be attributed to the fact that it quickly transforms into a handheld cleaner, which is perfect when you are cleaning the car or upholstery. There is also a combination tool for cleaning a variety of surfaces. It also has a crevice tool. With a weight of only 5.1 pounds, it will be easy to use. Despite being lightweight, it comes with a powerful battery. It can be fully charged within 3.5 hours and the runtime under power mode is up to 20 minutes. The cyclonic action is one of the best assets of this vacuum cleaner. The latter provides it with an exceptional suction, making it powerful enough to tackle almost any cleaning task. This also ensures that no pet hair will be left behind. This cordless vacuum cleaner is always ready. This is because the battery can hold a charge for up to 18 months. More so, with the Smart Charge Technology, it will use energy that is 50% lesser compared to its leading competitors. It also has a lithium-ion battery, which allows it to function for an extended period. Another good thing about this product is that it has versatile cleaning applications. It has a rotating slim nozzle that can be great for cleaning even tight surfaces. Even when cleaning under the furniture, you will not have difficulty. With the translucent bowl, it will be easy to monitor the dirt that it has already collected. You will immediately know when there is a need to have it emptied. Lastly, the manufacturer is offering a warranty that lasts for two years. The Black and Decker CHV1410L is a high quality best corded handheld vacuum and has more suction power than any other Dustbuster type device I have previously owned. I was a little reluctant about it not having a wall hanging charger, but after receiving this item, I like the base mount charger base better than any other device I reviewed. The long snout reaches into hard to reach places that other type units could not reach. In addition, I love the blue LED charge light as it works extremely well for a night light in our laundry room where we keep it. Excellent Product and would highly recommend it to anyone who is interested in a portable vacuum device. Pros: Cleans Edges/Corners Well, Easy to Use, Sturdy, Performs Well, Looks Great, Good for All Surfaces, Quiet, Strong Suction, Great Value, Good Size & Lightweight, Easy to Empty Filter, Lots of Features, Nice Design, great led charging/night light. With me Black and Decker CHV1410L is best cordless handheld vacuum for pet hair. Cleaning does not need to be a problem with the use of this product. Among others, one thing that gives this an edge over others is the powered brush roll, which is also equipped with the Wind Tunnel Technology. This makes it easy to lift the pet hair on the surface, whether it is carpet or hardwood floor. When it comes to ease of use, there is nothing that you should be worried about. It has intuitive controls, which are easy to access. It is also lightweight, so there is no problem when it comes to being user-friendly. The dirt cup is also easy to release. You will also love the battery gauge, making it easy to determine if there is a need to have it recharged. It is also notable because of the LINX Cordless Fade-Free Lithium-Ion Battery. There are interchangeable batteries and you can expect that the power will not fade regardless of how tough the cleaning task is. HOOVER Linx BH50010 is best cordless vacuum for pet hair on hardwood floors. One of the best assets of this cordless vacuum cleaner is the DuoClean Technology. This means that there are two types of brushes. There is a bristle brush that is great for cleaning carpets and a soft brush, which will work well for hardwood floors. Over the years, I’ve had a real love-hate relationship with vacuum cleaners. When I got my first apartment, I was very impressed with my selection of carpet sweeper, but it wasn’t very portable or easy to store because of its size. Nowadays, I’ve really taken a liking to the more compact floor cleaners because they are easier to get in and out of our storage closet. This makes it easier to do a quick sweep at the end of every day instead of letting dust and dirt pile up. The one issue I’ve still had with these compact vacuums is that they have cords. This cord-free vacuum from Shark is just what I needed. Using the vacuum is quite easy, too. The battery arrived with a small charge on it (one bar) so I plugged it in and started sweeping. The first area I did was a tile entryway that always seems to hide dirt in between the individual tile pieces. The Shark did a great job of pulling up the hiding dirt without having to use any special attachments. After the entryway, I moved into our kitchen/dining room area and was amazed at how easily the Shark turned corners and slid beneath cabinets. It picked up everything from dry spaghetti to toothpicks. Finally, I moved on to the carpet in our living room and a small areas in our bedroom before the battery died. Moving between surfaces is easy because it only takes a button push. The vacuum does a good job of not only picking up the dirt, but also being easy to store. Clean up meant cleaning off the front roller that trapped hairs and carpet fibers and emptying the dirt trap. I found that you actually have to remove the handheld vacuum segment from the wand in order to open the trap door for the dirt reservoir. The Shark – IONFlex DuoClean IF201 Bagless Cordless Stick Vacuum was very easy to switch from the different power levels. I Absolutely love that it doesn’t have a cord. It makes vacuuming SO much easier, and I won’t have to worry about a cord dragging on the corner of my walls, making marks. Plus, no more tangling the cord around your legs and objects, or having to unplug the vacuum because it won’t reach far enough to where I want to go. I have kids that are messy at the table, so this is GREAT for the daily pick up. Vacuuming my rugs it did wonderfully. It has very strong suction and was pulling me across the rug. Battery level is great. I was able to vacuum my main level (1700 sq ft) without noticing the battery dying at all. My mother has a different brand, and says she’s only able to vacuum one level at a time, then has to charge it before she can go elsewhere. Different power level is nice, for the areas that I dont need SUPER suction, but just something to get the dust or random things. Then the battery would last even longer!! The long suction piece has a cool design to it, so that you can slide the brush down the shaft to double as the extension piece for it, and then slide it back again to use just the long suction piece. I’ve never seen that before (see photo). It doesn’t have any place to keep the extra pieces when not in use though. Maybe a bag would be nice. The vacuum has a nice feature to bend in half for storage (see photo), so it is only about 2.5 feet tall, and saves some space in the closet. The bottom of the vacuum has a furry-like brush that spins when you vacuum. That dusts our wood (vinyl) floors great. Because it is right in the front, i can put it directly in the corner of the baseboards, and it dusts right to the edges. Major plus to get in all the spaces. Not included a hanger bracket for storing/charging. It does seem to have some trouble picking up couch fluff from the thin carpet I have, but partly because it doesn’t fit under the beater bar area. The power of this vacuum cleaner comes from the 22-volt lithium-ion battery. When the battery is fully charged, it can run continuously for up to 20 minutes. This also delivers fade-free suction. It also has suction squeegee technology. It is a specialized floor nozzle that allows it to pick up even the tiniest pet hairs. There are plenty of features as well that makes it almost effortless to use. For instance, the dirt tank can be emptied with ease. It is also clear, which means that you can easily see if it is already full. There is also a LED light that makes it easy to see the area that you are cleaning. It comes with multiple tools and attachments, which will offer excellent versatility. It can be useful beyond just getting rid of pet hair. For instance, there is a built-in crevice tool, which will come handy for cleaning cars and furniture. It also has soft dusting brush, power brush tool, and upholstery cleaning tool. This vacuum works decently for light vacuuming or for quick cleanups and spills (no liquids).Personally, I have found that the Bissell MultiReach works best for “touch up” vacuuming between regular vacuuming. 1. The Bissell does a decent job of picking up surface dirt, crumbs, tracked in grass and other things of this nature. Where it struggles is getting deeper down into the carpet, where a traditional plug-it-in-the-wall vacuum with an adjustable height setting can do so with ease. 2. It’s handy if you spill something in the kitchen non-liquid. The 24-volt suction power of this vacuum cleaner is one reason why it is better compared to other models. In every full charge, the power of the battery can last up to 24 minutes. Despite being powerful, it is also lightweight, which makes it easy to move around. It also features a micron filtration system. With the latter, no traces of dust will be able to escape, keeping the air clean. This is an effective way to avoid allergies. Meanwhile, with the motor-driven brush roll, it can easily pick up debris, including pet hair, without any difficulty. This is especially great if you are cleaning carpets. It cleans deeply without damaging the materials. It also comes with a two-year warranty from the manufacturer. If you are on the lookout for a budget-friendly alternative for a vacuum cleaner for pet hair, this is one that should be part of your list. The weight of the unit is only 2.7 pounds, which makes it lightweight enough. 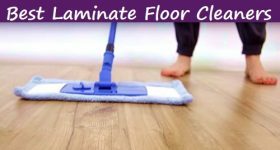 You can clean even for an extended period without easily getting tired. For your convenience, it has a bagless design. It has a 2-stage filtration system, making it easy to get rid of dirt and dust. When it comes to its performance, this cordless vacuum cleaner will not disappoint. When it is fully charged, it can run continuously for up to 15 minutes. It also charges three times faster compared to the battery that you can find in its leading competitors. The runtime, meanwhile, is 50% longer. The best cordless vacuum cleaner is an investment that every pet owner needs to have. It is a convenient way to clean your place as you won’t need to exert a lot of effort. However, take note that not all products are created the same. Pay attention to the products that have been mentioned above to make a purchase decision that you won’t regret. I have a Dyson almost 5 years old and still going strong. I take it apart to clean out the fur fairly often. That’s one of the things I like about it. It’s easy to take apart to clean and put back together. I thinks if you have pets, hard floors Dyson V6 Fluffy Cordless Vacuum Cleaner is best choise. And if you are looking for a cheap cordless vacuum under $100 I thinks Black & Decker CHV1410L Cordless Hand Vacuum Cleaner is one option you should consider. Another vote for the Panasonic canister. I’d bought a Eureka upright per a Consumer Reports recommendation. I have dogs and cats, mostly tile and hardwood with some very thick area rugs. The upright was fine on the carpet, but was a pain to get under any furniture and was not so terrific on bare floors. And do not even ask what fun it was to drag that sucker up the stairs while vacuuming them. So I bought the Panasonic. It has a Hepa filter, works on everything very well and goes under furniture with ease. You do have to change bags, No biggie for me. And it’s reasonable, much less than a Miele. Thank you for the recommendations. For some reason, I feel like I’m always in the market for a new vacuum cleaner. I’m frustrated that I only get a couple of years out of them. We have every kind of flooring in our house (hard wood, tile , vinyl, berber and dense shag carpeting). We live out in the country. We also have a large dog , 2 cats and 2 teenagers. I vacuum 5-6 days/week to keep the pet hair and dirt/sand down. We’ve bought the Dyson Animal Bagless years ago, but I think my Hoover bagged upright pulled more from the carpet. So, I’m not sure that spending more will necessarily get you a better vacuum. Does anyone have a recommendation for a vacuum that will EASILY go from room to room and get the sand from the grout on our tile, yet still be able to pull dirt from a thick pile carpet? I’ve been looking into the Miele vacuums, but I just can’t justify the price. On the other hand, I feel like I’m just throwing money away on the $200 “disposable” models. We have a Eureka AS3030A Pet Upright Vacuum Cleaner. It’s a pretty budget minded vac, but it does the job well. Just make sure you empty the canister and clean the filter religiously, and it will keep on working for you. I like the fact that it comes with a pet attachment for doing sofas/stairs/beds and the entire unit doesn’t weigh as much as a small car.